Due to our important Sunday commitment (The Teddy Bears Picnic at Ripponlea Estate), we swapped our weekly adventure to Saturday and made it close by to Lou’s music lesson. 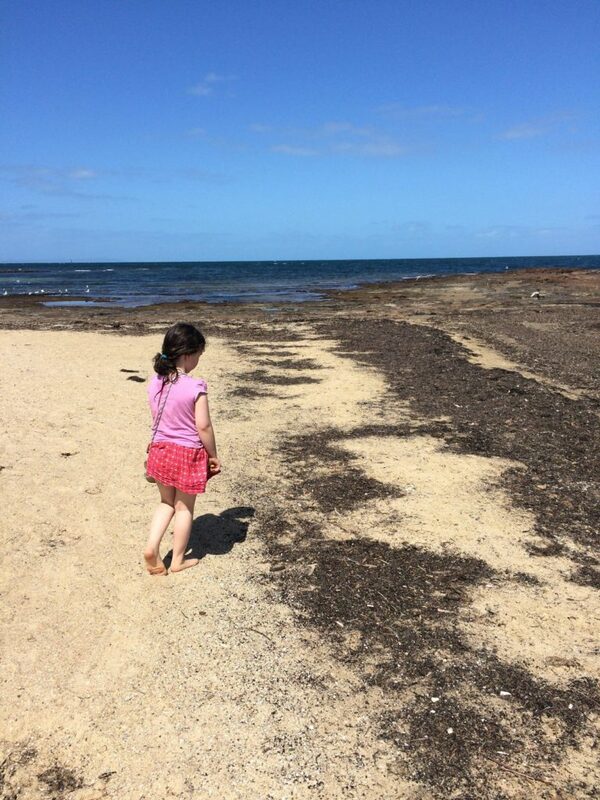 We went to Ricketts Point Marine Sanctuary and had a great time, apart from Belle that is who seemed freaked out by the whole thing following a close encounter with a fish. A sure sign we need to take her to the pool less and the beach more! 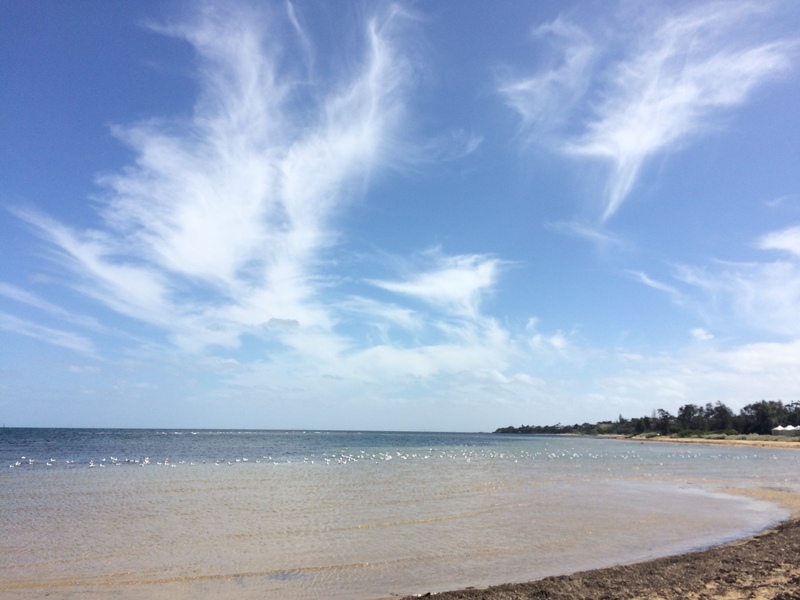 The Sanctuary is located in Port Phillip Bay 20 kilometres south east of the Melbourne. It is 115 hectares in size, stretching 3 kilometres along the coastline between Table Rock Point in Beaumaris and Quiet Corner in Black Rock, and 500 metres out to sea. It is ecologically valued for both its diverse marine life and migrant and resident bird populations. Near the shore, the rocks are covered with green and red algae which shelters a range of invertebrates including brittle stars, bristle worms and crustaceans. The surrounding sandy bottoms are covered by patches of seagrass which attract a range of fish species. In deeper waters, rock bommies are carpeted in either green Caulerpa or brown Sargassum, which hides many small animals. These rocks also attract fish species including Southern Hulafish, scalyfin and morwong. 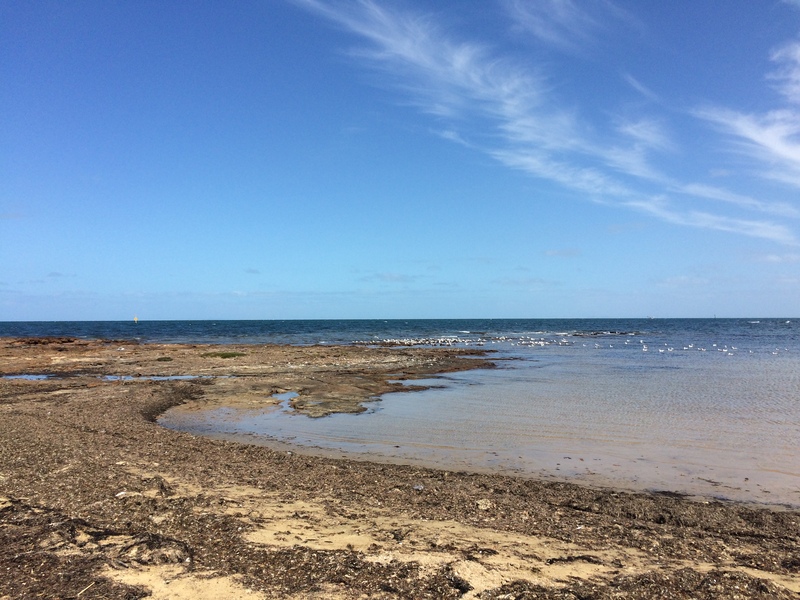 We gathered shells on the sand, walked out onto rock platforms to squat down to look at micro worlds in rock pools and walked carefully through sea grass in the water, being careful not to step on bristle worms, which were all over the sand. Lou and I went swimming while David made sand castles with Belle who wasn’t keen on the water. As well as the fish, all of the birds scared her. I think we are definitely on the right track making time in nature a weekly priority – I want it to be the norm for Belle, not something freaky! We stayed for under two hours, but it was lovely and refreshing – a perfect antidote to a stressful week. The cafe near the Sanctuary, Ricketts Point Tea House, isn’t bad (though it was great day for us which made things easier). We grabbed some lunch there and then walked into Beaumaris to put Belle to sleep in the pram. We looked in the bookshop and got a nice coffee, and then headed home. I felt peaceful on the drive home.